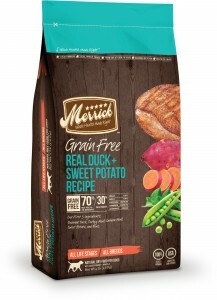 New natural & grain free dog food from Merrick has arrived at Lochte Feed & General Store! 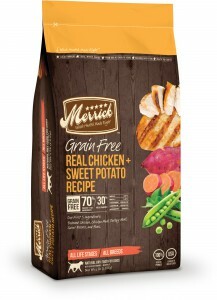 Merrick brings pet food to an entirely new level with its new Classic and Grain Free brand recipes. 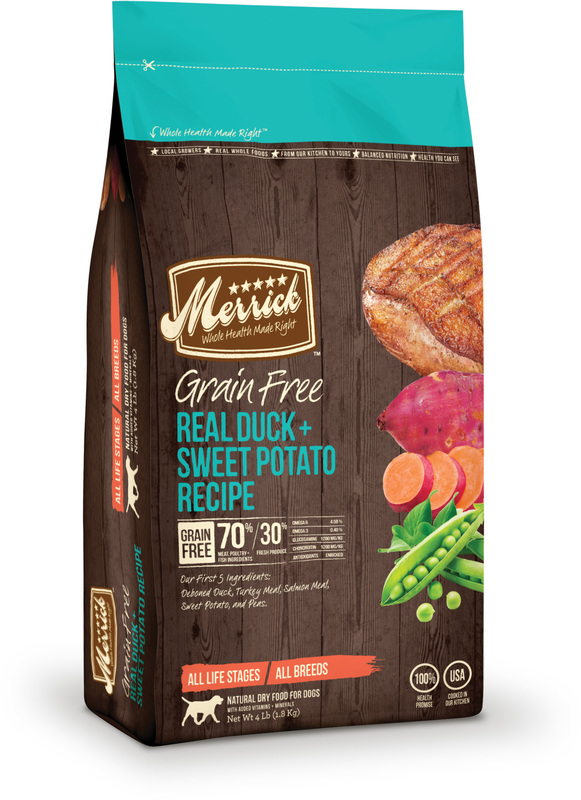 The new formulas are the start of a revolution in a dog bowl, based on Merrick’s belief that dogs deserve real whole food. 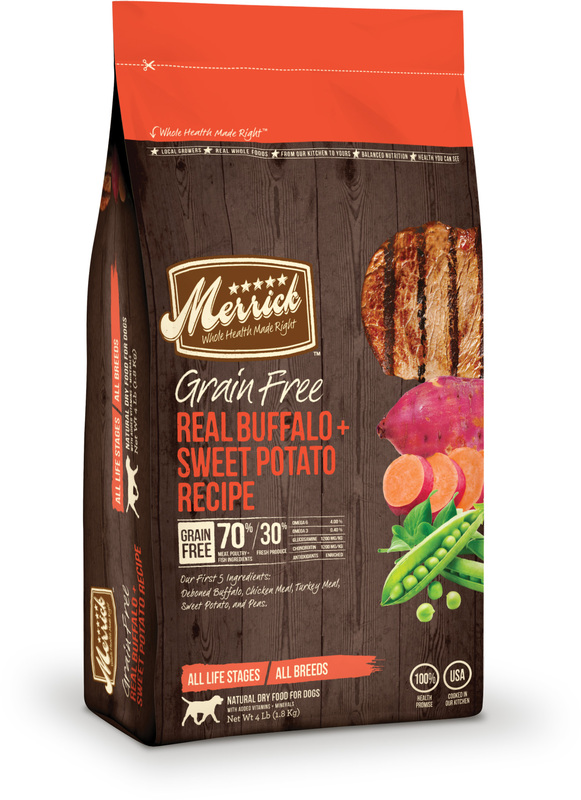 Made in the USA with only the freshest, locally grown ingredients, the recipes are meticulously crafted in small batches to provide balanced nutrition, with health you can see in your dog’s bowl, and more importantly, in your dog. 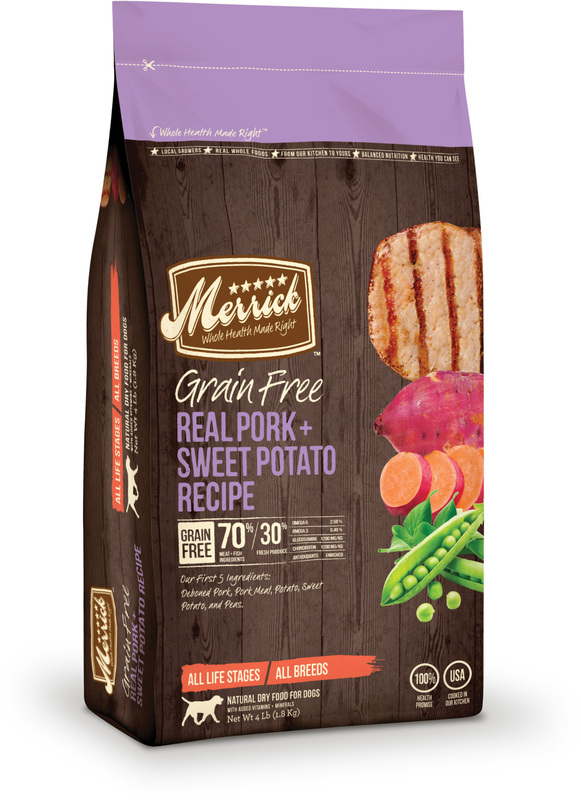 Merrick spent the last several years reinventing its recipes using the latest nutrition research, conducting an exhaustive review of farmers and suppliers, and developing quality assurance with its expert panel of dog taste testers. Now, Merrick introduces 11 new recipes, including seven Classic and four Grain Free varieties. What type of nutrition does your dog need? Find Recipe Here. 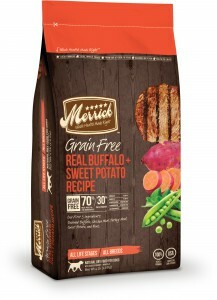 and vegetables, for dogs who have food allergies or sensitivities. This entry was posted on Wednesday, February 27th, 2013 at 4:10 pm	and is filed under News & Updates. You can follow any responses to this entry through the RSS 2.0 feed. Both comments and pings are currently closed.